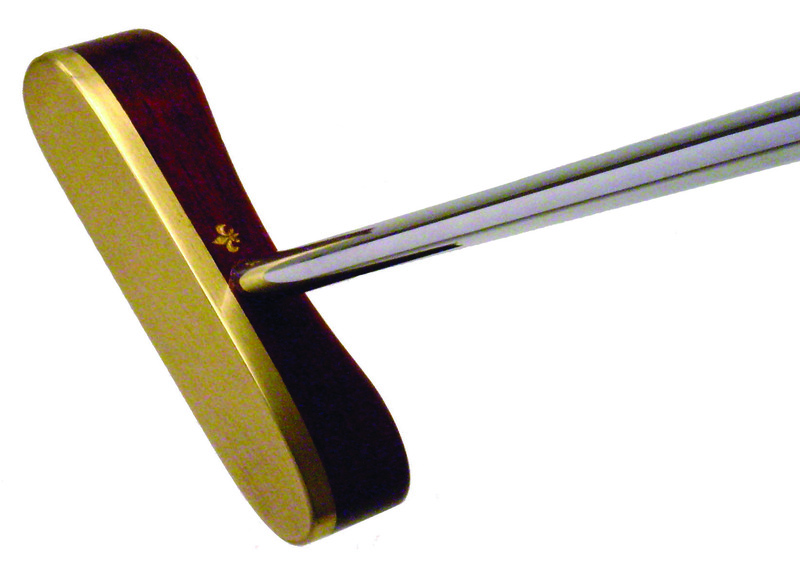 Since 1974 Louisville Golf has turned heads, literally, by turning wood into quality drivers and putters. Louisville Golf is recognized throughout the world as the leader in design and production of persimmon golf clubs. Located only 10 miles from downtown Louisville, Louisville Golf manufactures piles of felled timber into artful pieces of golf weaponry. 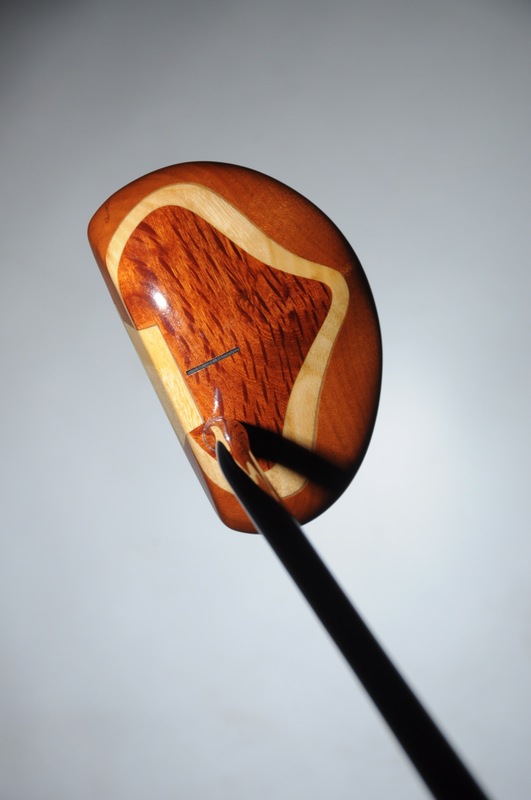 Elmore Just, the founder of Louisville Golf, invested heavily in research and development to improve the quality of persimmon wood for use in a golf club. Just published a book, The Persimmon Story, explaining its unique qualities. Just passed away April 23 of this year after suffering a massive heart attack. He was known as the "high priest of persimmon" and even lived on Persimmon Ridge Drive. He founded Persimmon Ridge Golf Club in the late 1980s with partner Jack Ridge. Just lost the course in 1996 due to struggles with Louisville Golf and recently repurchased the course thanks in part to Louisville Golf's recent successes. "To get our course back and to see Louisville Golf and persimmon doing well again is like a dream come true," Just said shortly before his death. Louisville Golf, along with Elmore's wife Lawren Just, are the proud owners of Persimmon Ridge Golf Club - the number two rated course in the state of Kentucky. Named for Louisville Golf's namesake product line, Persimmon Ridge is the company's home course. Persimmon's physical properties make it ideal for golf clubs. It weighs 52 pounds per cubic foot and its relative hardness, measured by the rebound characteristic "modulus of elasticity," is superior to other woods. Persimmon cushions little at impact, allowing the wood to maximize the energy transference to the ball. Persimmon's Gear Effect makes it superior to metal "woods" for accuracy. In a Golf Labs test proved Persimmon to be one yard longer in total distance to a Callaway titanium driver. The most recent World Congress of Golf established persimmon as a superior material for drivers. Rankmark, a club-testing firm headed up by industry equipment guru Charlie Mandel, echoed these facts selecting the SMART Persimmon Driver as one of the Top Ten Drivers in the industry. 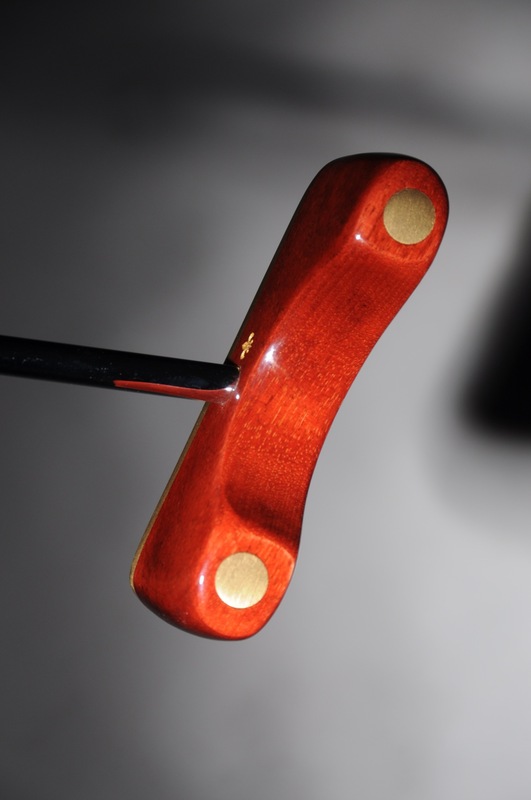 In addition to real persimmon wood, Louisville Golf makes its putters from premium grades of walnut, cherry, dogwood, apple, and exotic woods like bloodwood and purpleheart. Diversification and innovation have kept Louisville Golf competitive in a market now saturated by "woods" made of metal. 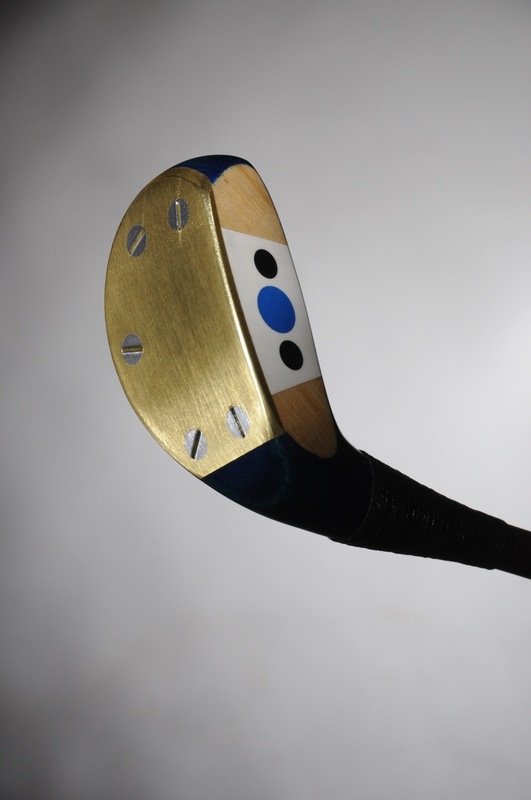 When many wooden wood manufacturing plants closed due to higher production costs, Louisville Golf found a niche for its handmade persimmon drivers and putters marketing its products to corporate buyers, a market which is not extremely competitive and quite profitable. "Metal products just do not make good golf gifts," says Just. "They are mass-manufactured and they have no character. 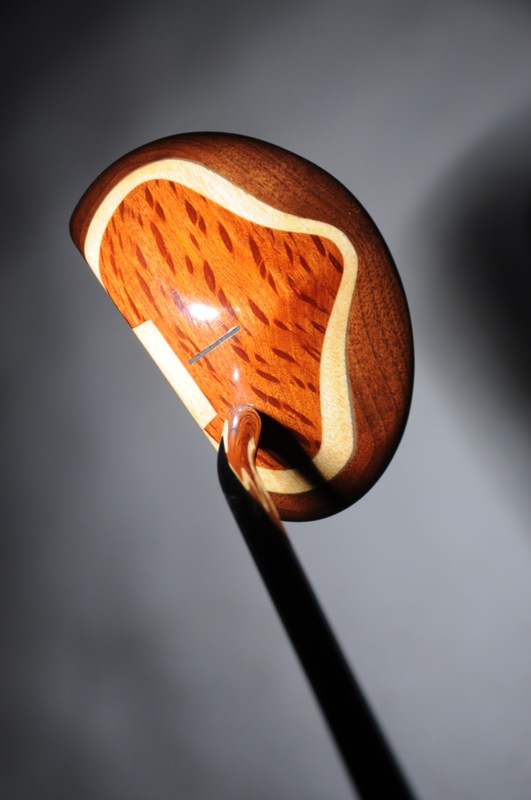 "And for the golfer that doesn't want to be average, a Persimmon wood is the right choice. What sets us apart is that we can still make clubs completely custom tailored to the individual golfer." The SMART Persimmon Wood line is the company's top tier product, but other popular clubs include the NIBLICK Persimmon Fairway Woods, the Earthwoods Putter and Replica Clubs. 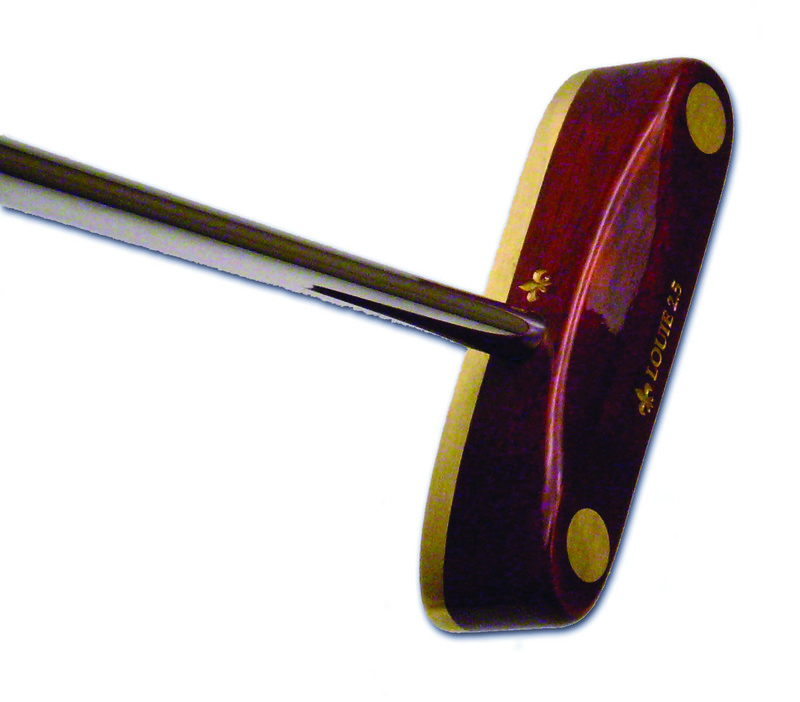 Most of the wooden putters sport a Louisville Golf brand, but detailed corporate logos can be cut into the crown with a laser for customization. Louisville Golf's clientele is a "who's who" of the golf industry, including the Ben Hogan Company, MacGregor, Spalding, Wilson and Tommy Armour. Just does not wish to be confused with the Hillerich and Bradsby, the makers of Powerbilt and Louisville Slugger. However, he believed - like H&B - that the crack of the Persimmon club, like the crack of a bat, is the heart of the game. Perhaps a misconception about wood in the use of golf clubs is that people compare it to baseball bats made of Ash timber, where metal baseball bats do provide greater velocity. However, this does not translate into golf with Persimmon. Louisville Golf believes it is misinformation brought on by massive marketing campaigns that has done a disservice to golfers on the whole. "We want to keep Persimmon in the game as a choice for golfers," said Josh Fischer, Louisville Golf's Vice President of Marketing. "It deserves to be and I think it is important for the game. The Persimmon club really vanished under false pretenses." Shaft technology also began an upswing coinciding with the metal "wood" market. Comparing the physics of a heavy steel, 43 inch shaft to a light, 45 and 46 inch graphite shaft are the false pretenses that Fischer alludes to. The SMART Persimmon Driver was designed to be built with the new graphite shafts. Just never gave up on the resurgence of the Persimmon clubs' popularity on the golf course. He believes it is the ultimate clubhead material for the serious golfer. "Pros know two things about Persimmon wood," Just said. "One, nothing works the ball like Persimmon - you can shape shots with Persimmon. And two, Persimmon gives the golfer feedback that is important to maintain and improve the swing. "Persimmon is nature's gift to the game of golf. Its performance value is eternal." Louisville Golf continues to make its handcrafted products because people appreciate them on and off the course. "It seems the sense of pride and accomplishment that we take in our work lives within our product," Just said. "As long as people feel this way about our clubs, we will keep making them." With this historic list of world-class talent, The Louisville Golf Club Company was commissioned by this impressive list due to the quality reputation that Elmore Just and his four brothers built into every clubhead. That same craftsmanship is available with every club we offer today. This Persimmon driver, handmade with over 100 hand operations like all Louisville Golf clubs, was made in 2004 for the world's No. 1 ranked golfer. 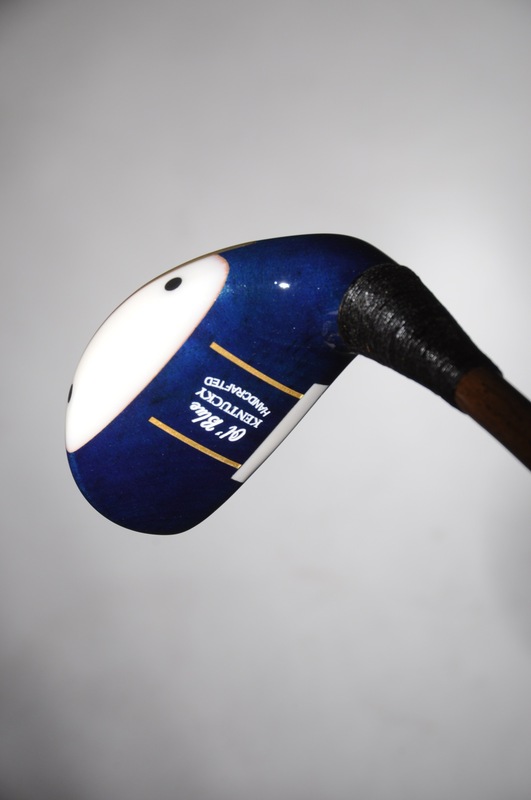 A major golf company commissioned Louisville Golf, the world's leading manufacturer of Persimmon woods, to make a Persimmon driver that was exactly like the one the player used growing up. This ranks as one of Louisville Golf's most historic clubs ever made. Louisville Golf has a tradition of manufacturing some of the game's most treasured models including the Ben Hogan Apex, the Wilson Staff and the Tommy Armour Silver Scott. The player said he "liked it" and remarked that it was "beautiful." He uses the new Persimmon driver at home in Florida to improve ball striking. The Persimmon heads were made to weigh 197/198 grams to achieve a specific swing weight that we were instructed to achieve. Face angle and face shape were also critical to them. These exacting specifictions were not new to the Louisville Golf craftsmen, who have made Persimmon golf clubs for the Ben Hogan Co. when Mr. Hogan was still alive. Mr. Hogan was known for having an extremely high expectation for quality. We checked and double checked the loft and lie (above) as well as tried to match the appearance and cosmetics of the original Persimmon driver the player used growing up. The heads were made to be a bore-thru, with steel shaft. Even to the final procedure, the TW head was handmade. Above the craftsman is hand-wrapping the whipping that covers the hosel where the shaft and the head meet. Below, master clubmaker Ron Just shafts and glues this special head. The shaft and grip were especially made for TW by True Temper and Golf Pride respectively. This shaft and grip do not appear in the companies' product line. This Persimmon driver is very similar to the Classic 50's driver in our current product line. CLICK HERE for information on our Classic 50's Persimmon driver and fairway woods. Below are the original orders given to Louisville Golf with the exact specifications the Persimmon head was to be made. This driver below was given to the player in honor of the color shirt he wears on Sunday of a golf tournament. This is a Louisville Golf THUMPER specially modified for the player's specifications.